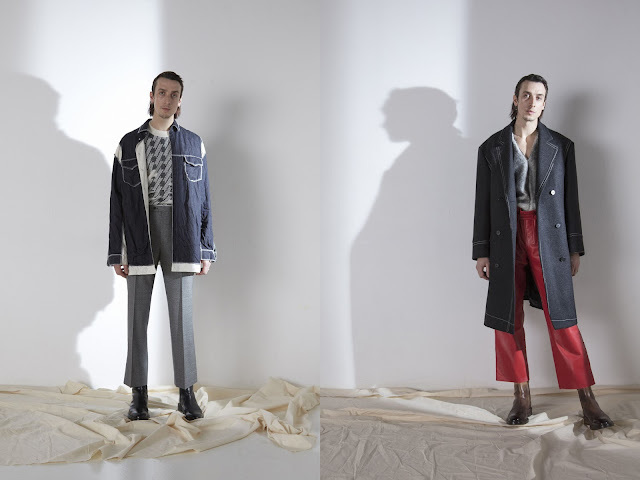 A slender silhouette reigned supreme at Maison Margiela's FW17 men's collection. Though the clothes weren't specifically elongated, the trim tailoring created a lean silhouette that made the already tall models look slimmer and taller, a great effect for those who may not be as vertically endowed. Elsewhere, the collection's use of fabric continues to surprise while chunky footwear, with some boots offering a gradient effect, anchored the dreamy collection.